So I recently had to get health insurance for me and my family and did not realize that there are great loopholes to help bring down the cost of you are self-employed so I decided to write a blog about my findings enjoy! With the cost of health care in the U.S. higher than ever, being covered by health insurance has become more important than ever as well. And that’s not to mention the Affordable Care Act no-coverage fee you’ll pay when you file your taxes if you and your family aren’t covered. As ridiculous as it might sound, all it takes is a single ambulance ride or emergency room visit without insurance to send you into heaps of debt and an uncertain financial future, so it’s not worth the risk to go without considering how many great self-employed health insurance options are out there. And, if you think you’re the only business owner or freelancer without health insurance, consider this: according to a recent study done by Upwork.com, 20% of all freelancers in the U.S. workforce (near 60 million of them) are without health insurance. If that’s you, it’s time to get serious about health insurance now– before it’s too late. First and most importantly, what health insurance benefits can you take advantage of being a self-employed person? Health insurance is expensive, there’s no doubt about that. However, if you’re a self-employed person– that is, if you run your business on your own with no employees or if your spouse works with you– there are deductions you can claim to make health insurance more affordable. Fortunately, if you’re self-employed, you can potentially write off as much as 100% of your health insurance premiums, including medical, dental, and long-term care insurances for yourself, your spouse, and your dependents. However, keep in mind that long-term care insurance offers a limited deduction as compared to other healthcare payments such as health insurance, dental, and the above-listed reimbursements. 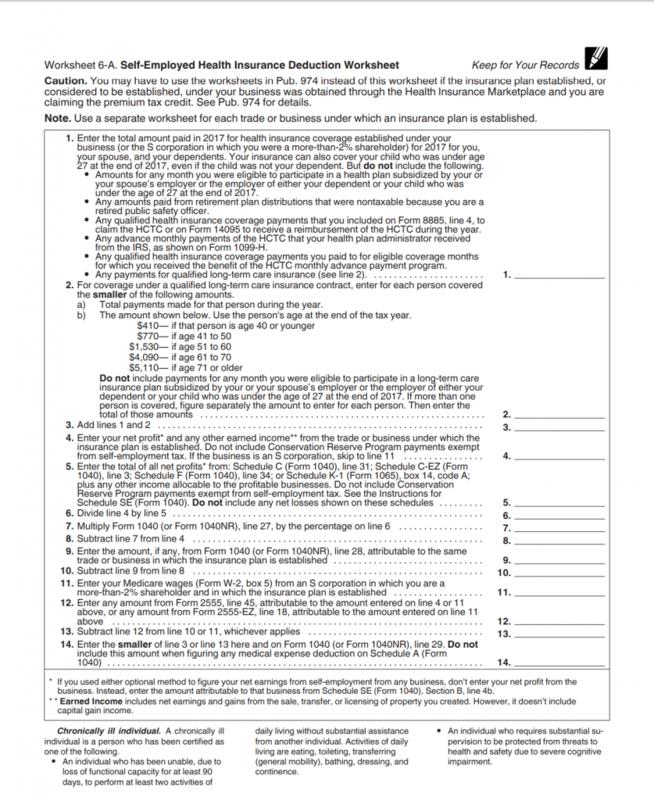 The self-employed health insurance deduction itself is filled on Form 1040. For a better idea of what this looks like along with more information, read the IRS’ 2017 Self-employed Health Insurance Deduction Worksheet taxmap. To get a better idea of whether you qualify and exactly how much of your potential or preexisting premiums you can write off, talk to your tax specialist. Next, now that you know how powerful the self-employed health insurance deduction can be, how exactly do you qualify for it? Fortunately, qualification requirements are pretty straightforward and don’t require any jumping through hoops. 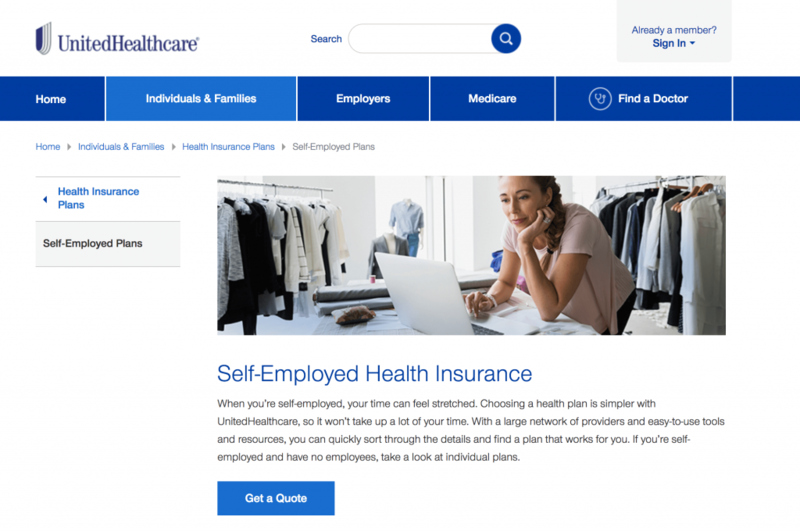 In addition to this, it’s important to keep in mind that the health insurance plan itself must be set up in a particular way in order to be able to take advantage of the self-employed health insurance deduction. If you’re a partner, the policy can be in your name or the name of your partner. However, keep in mind that the partner who is paying the premiums must be reimbursed by the other partner and the payor must include those premium reimbursements as income on their Schedule K-1. If you’re a shareholder of an S corp, the policy can be in your name or the name of the company. The same reimbursement process is required as with partners, however, you include those premium reimbursements as wages on your W-2. Next, now that you’re aware of the incredibly valuable self-employed health insurance deduction and reimbursements that are available as well as how to qualify for those deductions, let’s talk about the best places to find affordable health insurance as a self-employed person. 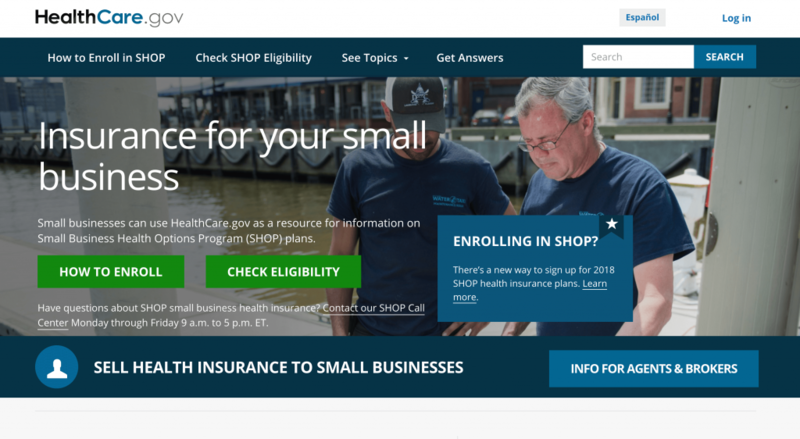 The first and best place for most individuals to look at is the healthcare.gov health insurance marketplace, which will match you up with your state’s officially sanctioned health insurance marketplace and all-in-one resource. Here, you can find out if you qualify for the Children’s Health Insurance Program (CHIP) if you have kids, Medicaid, and other special savings options. In addition, they’ll match you up with the best plans available that fit your needs. Simply click here to create an account and get started. The most basic option is going straight to a big-time health insurance company such as United or Cigna and getting insurance from them. Every big health insurance company offers several different pricing and coverage tiers with various options, one which will match your healthcare needs. However, it’s still smart to shop around, so the only problem with going this route is you’ll need to shop around manually when places like Healthcare.gov and health insurance brokers do it for you. Next, health insurance brokers, as mentioned above, save you time when shopping around by gathering a collection of plans from many different health insurance companies. This makes it far easier to make sure you’re getting the best deal and plan available, taking the work of shopping around out of your hands and automating the process. 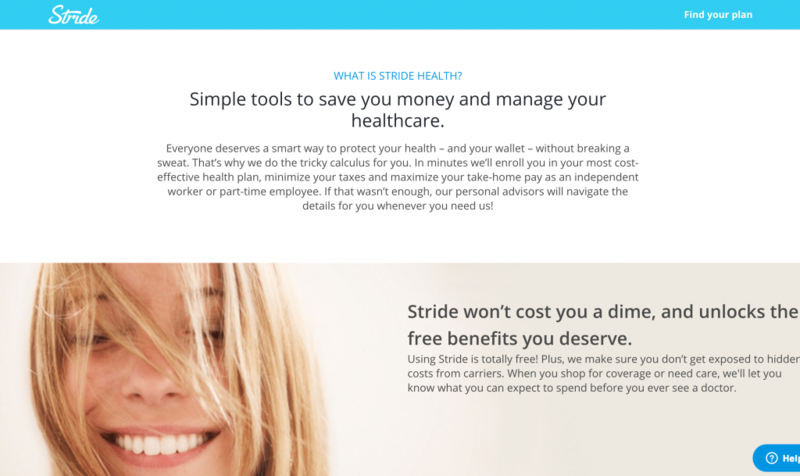 Examples of health insurance brokers include Gravie and Stride Health. One of the more unique, but increasingly common, options going with a health care sharing ministry. 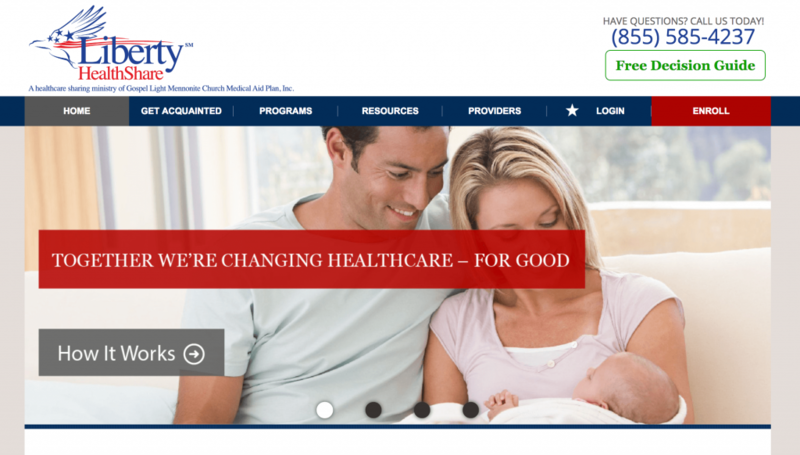 A health care sharing ministry is a faith-based organization which splits the cost of health care costs between the members of the group, greatly reducing the cost of quality healthcare. It’s important to keep in mind, however, that health care sharing ministries have certain faith-related requirements such as adhering to religious values and attending regular periods of worship. Surprisingly, some gig service companies have begun offering benefits such as health insurance to agents and contract workers. 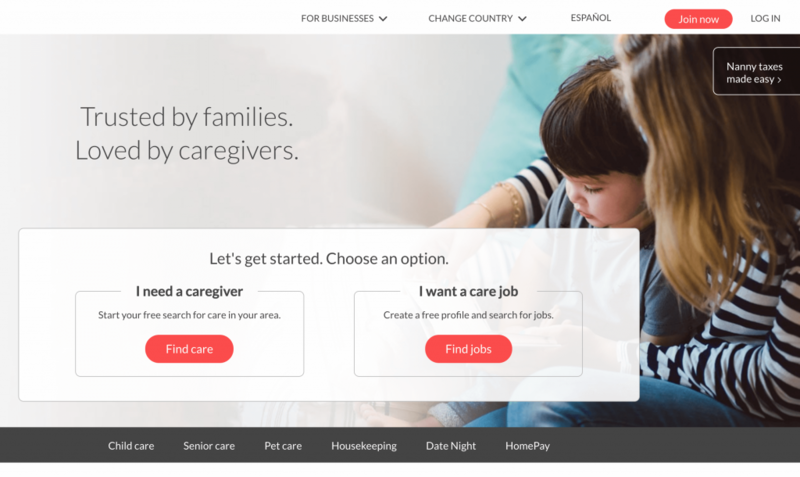 As of now, there are only a few companies offering such benefits, such as Care.com to the professional caregivers who work with the service, but you can bet that this will become more prominent as time goes on. There are currently cases open in several states to offer forms of insurance and benefits to drivers of ridesharing service Uber, the largest such gig service company in the world. There are several self-employed organizations and advocacy groups, many of which are industry-specific that you can take advantage of depending on your profession. Freelancers Union: Members get access to more affordable health insurance plans, often as much as 20-30% off typical health insurance premiums. National Writers Union: Offers discounted health insurance. Professional Photographers of America: Offers discounted health insurance. The National Associate for the Self-Employed: $120 annual membership includes access to HSA’s and life insurance. The National Association of Health Underwriters: The NAHU connects you with health insurance professionals to help you find the most affordable plan for you. In addition to the aforementioned self-employed health insurance options, there are several additional ways to save on healthcare-related expenses. Few people are aware that there are now online services where you can pay to get a live consultation with a real doctor. And, in comparison to the cost of health care such as a basic physician or urgent care visit, the cost is negligible. One great example is Healthtap.com, which gives you access to over 11,000 different doctors based on your needs and preferences. Simply plug in what you need help with and Healthtap will connect you with a doctor that’s a perfect fit for your health need, saving you a ton of money on things like minor health concerns. Plus, this and most similar services offer the chance to get a second opinion, which done the traditional route is far more difficult to obtain given it would require you to make an appointment with and travel to an entirely different doctor. An HSA or Health Savings Account works somewhat like a prepaid credit card and it has some unique benefits that are definitely worth taking a look at. An HSA is linked to an HDHP or a high-deductible health plan and it essentially serves as a separate, dedicated account to pay for healthcare expenses. 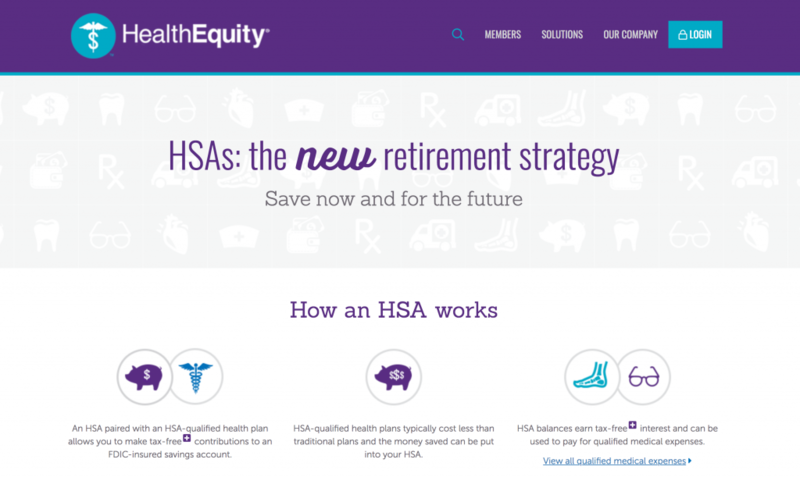 HSA account providers include HealthEquity and HSA Bank. But why would you want to use it? Well, first, the funds you drop into the account are tax-free, so long as you use them for a qualified healthcare-related expense. In addition, you can claim a tax deduction for using the account. In addition, because it’s an HDHP, the account can save you as much as a quarter off your medical expenses. You own the funds you deposit into the account and can keep the account forever, so there a virtually no real drawbacks. For more information on HSA accounts, visit Healthcare.gov. Health insurance is more important than ever. However, as a self-employed person, you have the ability to deduct most or all of your health insurance premiums and be reimbursed for virtually all healthcare-related expenses. Take the time to research your options and find the best health insurance option for you and your family. Then, speak with your tax expert to make sure you’re taking full advantage of the self-employed health insurance deduction. Nathan Abadi is the President and Co-Founder of Excel Capital Management, a Direct Lender in the Fintech Space that delivers the best alternative funding solutions to traditional bank loans for small businesses. With 15 years of experience in the financial sector and entrepreneurial experience.